So with this in mind, if you’re visiting London and are a lover of all things historical, where do you need to visit? What do you need to see? What will truly open your eyes to the sheer awe-inspiring stories of London’s past? It may not have the most appealing of names, and it is very much an active market today. It isn’t a museum or there isn’t an area dedicated to the historical element either. It’s an operational, functioning market in Southwark. But this market has been attracting people for what’s reported to be over 1,000 years. Although it has moved sites a number of times through its history, its origins can be dated back 1014, when it was located on London Bridge. To put this into perspective, the United States signed the Declaration of Independence in 1776, making Borough Market over 700 years older than modern day America. 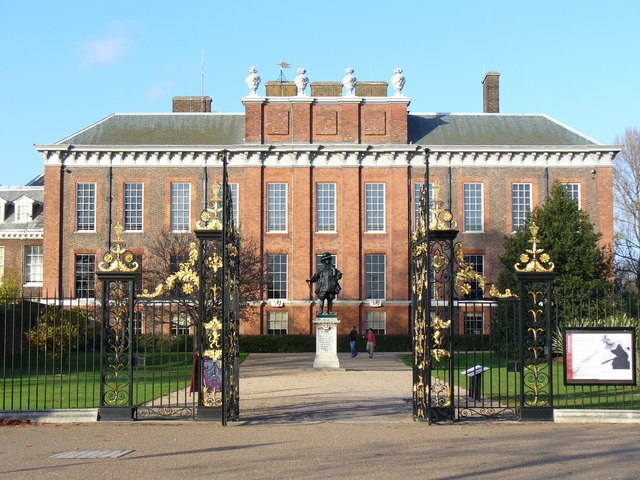 One of the most notable establishments of the Royal family, today it is home to the Duke and Duchess of Cambridge and their children, having previously been the residence of the Duke’s mother, Diana, the Princess of Wales. With history dating back to the 17th century, it may be a continuous private home to the Royal family, but it’s open the year round for visitors to explore certain areas and experience an array of exhibitions housed within the palace. Full of history and grandeur, there are few buildings that offer such a similar insight into the lives of the Royal Family than Kensington Palace. It may not be in London itself, but it’s only a short journey by train from central London – and a trip to Windsor Castle, the world’s largest castle that’s still regularly inhabited, is definitely worth it. Still the favourite weekend residence of the Queen, Windsor Castle is truly awe-inspiring in everything from its size through to its condition. Originally built in the 11th century, it has been rebuilt and renovated numerous times since (including as recently as 1992, when it suffered extensive fire damage), but it remains incredibly intact. This becomes even more unbelievable when you discover Windsor Castle covers close to 500,000 square feet. Open to visitors and with a huge amount to take in, it offers a truly fantastic view of Royal life throughout the years. Simply another home on another London street during the mid-1800s, the home has since been transformed into a truly insightful museum – to its most notable tenant, Charles Dickens. Residing with his wife Catherine and three of their 10 children here, it’s said that Dickens wrote some of his most well-known novels at this address, most notably Oliver Twist and Nicholas Nickleby. With the museum housing some of the most interesting aspects of the world-famous author’s life – including his writing desk and notes from his novels – step through the front door and you’ll be whisked away to Victorian London and into the home life of Charles Dickens. Arguably one of the most fascinating historical sites in London – given that its use is within living memory for many – Churchill’s War Rooms are hidden beneath the streets of Westminster and today form part of the city’s Imperial War Museum. Giving Churchill and the entire war cabinet the ability to plan the allied route to defeating the axis powers throughout World War II, the bunker is an underground warren of rooms and corridors, all of which can be explored in person. Step back in time and take in the electric atmosphere. You can still sense the urgency of the decisions that needed to be made; critical decisions that ultimately led our troops to win the war. From the outside, the church doesn’t seem to portray anything unusual. In fact, the original church – built in 1656 – was knocked down in 1817 and the current church was created four years later in 1821. It’s nearly 120 years old, but for a church in London, that’s not particularly newsworthy. Where this church becomes a real draw for history-fiends, however, is when you discover it was used as a ‘plague pit’ – a mass burial site for victims of the Plague. Although it seems somewhat impossible by today’s standards, at the time of the Black Death – between 1347 and 1351 – upwards of 200 million people were killed throughout Europe. Reportedly wiping out around a third of the global population at the time, it’s little wonder that, unfortunately, mass graves needed to be used. And whilst there are numerous reports of such sites throughout London, there are very few actually confirmed, but this is one of them. With roots spanning over two thousand years, it’s extremely likely that whatever your historical preferences are, London will be able to fulfil them. We’ve picked out just a small handful of sites you should consider visiting throughout your stay, but with so much history, regardless of whether you’re looking for Royal family insights from the past couple of decades or details of the city from several centuries ago, we’re confident that you’ll be able to find something that will ignite your historical passion in London.